against you; it’s a breakthrough in your consciousness. Once you come into realization, things will begin to materialize. When you concentrate on the effect, you forget the cause. When you forget the cause, the effect diminishes. Never chase the money. Never make money your goal. 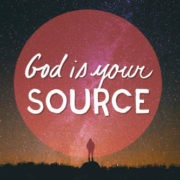 If God becomes your Source, you’ll never forget the Source. When you forget the cause, the money disappears. Why do people see their money evaporate? Because they forget where it comes from. They forget the Maker of Money. money will also shut down the supply. benefit from you, but they don’t really care about you? 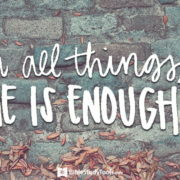 A real relationship with God produces so much more than we need, so much more than we ask for, and so much more than we can ever imagine with ourselves. There is no need to pursue God with impure motives. abundance. How can there be lack when the God of the Universe is your portion? Meditate on that truth the next time you feel anxious or worried about your needs. How is God your portion? The spirit of God within you is forever thinking thoughts of abundance. This is the nature of the spirit of God within you. Your true self thinks, sees, and knows only abundance. The creative energy of this mind of abundance is eternally flowing, radiating, expressing, and seeking to appear as abundance on the physical plane. The spirit of God in you is always thinking abundance and success. God enjoys prosperity through you. That has to become a realization in your truth of you. God is always thinking prosperity, because He takes pleasure in the prosperity of His servants (Psalm 35:27). He’s always thinking about experiencing pleasure. He always thinks about prosperity. He thinks, He sees, and He knows. The Spirit within is seeking to manifest prosperity through you on the physical plane. It is not His goal to show something to Himself. He already knows Himself. He wants to demonstrate something through you. He became you to demonstrate Himself. God had no personality but yours. He had no hands but yours. He had no feet but yours. He had no mouth but yours. God keeps demonstrating prosperity through me. God seeks to appear on the physical plane in the form of prosperity. That’s why money isn’t what people think it is: a means of exchange for goods and services. Money is an effect. The fruit of being created in the image and likeness of God is the ability to produce wealth. God has no need for wealth. He is the Ultimate Creator. He invented wealth for you. God demonstrated prosperity through you because you are the one who needs it. God does not need it. Reexamine if you have this wrong mindset that God is withholding something from you. Learn from Eve. She believed this lie, so did Adam. Look what happened to humanity as a result. God has prepared the world so that you can enjoy it, and you can praise Him for it. God is truly worthy of our praise, and we’ll realize this even more as we realize the prosperity He has prepared in advance for us. how many things, really? Everything. Spiritual wealth—both invisible and visible—can only be obtained through realization. If there is no realization, there can be no materialization. If there is no materialization, there will be no manifestation. Realization begins within. It starts with thinking the thoughts, and then understanding the thoughts, and then realizing what’s available for you. Realization is your realignment with the Infinite. are loaded. Everything is rigged, which is just another way of saying it’s all been set up already, and all we have to do is walk in the divine plan. The dice of God are loaded. Everything is rigged for you to win if your motive is pure. motives? God is good. He knows you cannot have pure motives by yourself. He knows the human heart is dark and deceitful. He already thought of that. 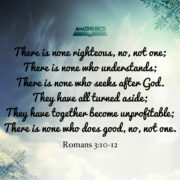 No one is righteous, not even one (Rom. 3:10). How then can a person have pure motives? It is because of Jesus that we can become pure and holy before the Lord (Rom. 3:22). It is Christ’s holiness and purity that has covered us, through his blood, that we can have pure motives. God’s dice are rigged for you — the one he died for on the cross. 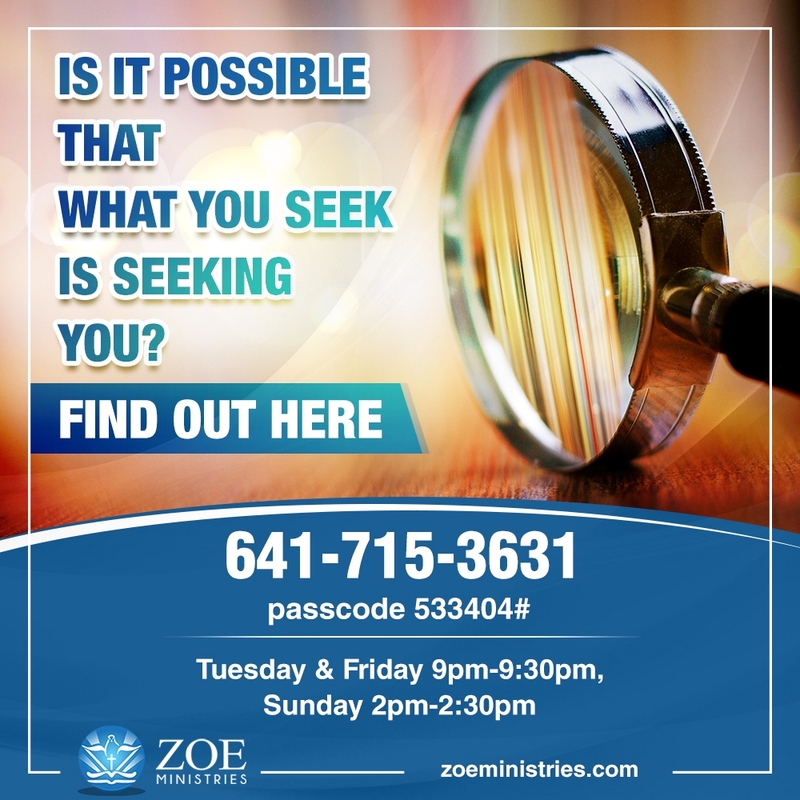 Your weekly dose of prophetic wisdom and anointing awaits you. Join our LIVE Conference Call! invisible, the creative energy of God is also called Substance. I am moving in the creative energy of God. abundance is. There is something in nature that God is waiting for you to mix with thought. When you mix thought with nature, you have a brand new economic experience. with sufficiency of supply — not just in your finances, but in every area of your life. If money is an issue, that’s covered, along with every other thing in your life. Does it look like a perfect life? discouraged by the present situation. It’s the ability to feel abundant within, regardless of the external experience. the substance of things hoped for, the evidence of things not seen.” In Genesis 13:6, we read, “And the land was not able to bear them, that they might dwell together: for their substance was great, so that they could not dwell together,” referring to Abraham and Lot’s wealth. The creative energy of God is called substance. Your wealth is from the creative energy of God. The Book of the Month Club is a powerful group that opens your mind to the strongest possibilities. Go and join the club now! 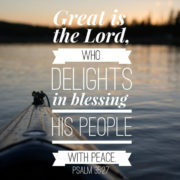 How are you harnessing this creative energy God blessed you with? supply, the deeper the etching of the truth into your consciousness. We often become enslaved by money, and then it doesn’t work for us. The principle of it begins to work against us, instead, because we give our power away to an idol. You’re only going to get out of this economic downturn through consciousness. There is no other way. It doesn’t matter who is in office or how much you like him or don’t like him, trust him or don’t trust him. The president has nothing to do with your financial situation. No one can take you out of this depression. You have to go through consciousness. God was preparing those who chose to listen. For those of you who chose to listen, the banks are not your reality. You don’t put your reality and your trust in the realm of form. You stay plugged in and connected to the Source. While many pastors and leaders are afraid to ask for a $1,000 seed, Zoe Ministries is not. Zoe Ministries will ask for a $10,000 seed. Why? Because we know that when you’re connected to the Source, you don’t become bothered by the conditions and you don’t feel limitation. Are all of these real-world conditions occurring? Yes, they are. We’re not denying that they exist. But we are denying their right to exist in our world. This brings us to another level of thinking. On this level, we begin to see ourselves evolve. even if they do get a load of money at first, they end up where they began. Unless, you address what is inside, you’ll continue to go back to being broke or in debt. Abraham was not oblivious to the fact that he was old and his wife was barren. He acknowledged these realities, just like you can acknowledge that you are in debt or that you are fighting hard to make ends meet. The difference is the power of this reality. How powerful is this reality for you? Do you understand this reality to dictate the future or do you understand God’s power in you to transform your circumstances? Do you finally realize that you are connected to the Source and that all you need to do is let go of everything that blocks the flow of blessings into your life? With the way you are dealing with your finances, what does your actions say about who your source is? you, you attract more and more of His presence. Awareness is the energy that pulls Him closer to you. Once you embrace His presence on the inside, it shows on the outside. When you bring God into the consciousness of the experience, He is all that there is. Awareness builds your faith. When you are aware of how God operates, of what pleases God, and His purpose, you begin to change your mindset, your thoughts and your actions. On the other hand, your ignorance of God makes you miss out. Your lack of awareness gives Satan the power to deceive you. you to know Him more (Mt. 6:33). Do you feel loved and understood when someone makes the effort to get to know you more? God is the same way. It is how we show Him our love. 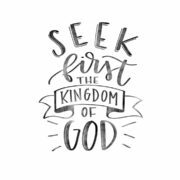 Dedicate your days to knowing more about God and to seeking His presence. Instead of toiling away and worrying your mind about getting rich, dedicate everything you do to the Lord. There is a guaranteed difference that you will see in your life. What level of awareness do you have about God’s blessings and plans for your life? Rebekah experienced a prophetic demonstration in the birthing room with Jacob’s catching of Esau’s heel. It was something the father probably didn’t see. At that time, men were not involved in the birthing process the way they are now. In a way, then, it was done in secret. Rebekah was the only one who knew. But that which is done in secret, God brings out into the open. Those prophetic words we receive are demonstrations of things that are going to happen to us and for us if we just catch the feeling of that thing and hold on. What do you feel you are supposed to be? All your life you know what this is. You had this feeling growing up. You may have neglected, rejected, or deserted this feeling because life just tried to beat this feeling out of you. Rebekah had to hold on to the feeling for a long time before it came to a fruition. In the same way, God is doing His part to keep this feeling alive within you. Are you doing the same? Or, are you the one who’s putting this feeling out? Remember what it is you feel you’ve always meant to be growing up. You don’t have to be ashamed if it is connected with wealth and prosperity, because let me tell you the truth, you were always meant to be wealthy and prosperous. Evaluate the current state of your heart right now. What do you feel about the things you are praying about? Rebekah is preparing a new condition because she wants a new expression, or a new answer to an old problem. Some of you have old problems that need a new answer. 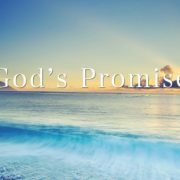 The old answer in Rebekah’s situation would have been, “Esau, you are the first born, so you are to take on the lineage.” Rebekah knew the promise of God because she had received a prophecy while the twin boys were in her womb. The prophetic word was that the older, Esau, would serve the younger, Jacob. She carried that prophecy within her and hollered when it was about to come forth. She called to the younger son, asking him to let her dress him. What are you dressing me for? I’m dressing you for the blessing. You arrived in this world grabbing your brother’s heel because you knew something in you was supposed to be first. You’re the wrong person, but you have the right feeling. Some of you have been the wrong person. You might have been hired in a company where people thought your skin was too dark for you to advance. When you walked into a particular room, maybe your hair was nappy, and maybe they said, “You’re too nappy to have this promoted position.” But you thought, “All right. I might be the wrong person, but I have the right feeling. Eventually, everyone in this office is going to catch up to the right feeling, and they’ll know who is supposed to be in charge.” You were the wrong person, but you had the right feeling, and now everyone is looking up to you. Jacob was the wrong one according to Judaic law. If he and his father and brother had gone to court, the facts would have sent Jacob to prison for stealing. That’s why he said, “I would appear to be tricking him and would bring down a curse on myself rather than a blessing” (Genesis 27:12). But as I shared with you before, feeling is lord of facts. Dress up for success. Will you wait until things fall into place before you’ll start feeling and acting prosperous? You say, “When I’m rich, I’ll give my tithes” or “When I have extra money, I’ll bless others.” Right. That’s why you’re not rich and that’s why you don’t have extra-money. It’s because you’re allowing the circumstance to dress you up, instead of the other way around. Look at it as training. If you are faithful with the few, you’ll know how to handle many. If you wait until you are promoted to do more, to give more, and to be more, then you’ll be waiting a long time. What things can you do right now AS IF you already have your answered prayer? The hand and the neck are places where all the nerve endings of the body gather. Rebekah psychologically covered every nerve ending of Jacob’s body, on some level. God saw to it that the son would first be filled with feeling. If Jacob didn’t have the covering on the neck, and if he weren’t feeling “I AM Esau” in his deepest self, the father would not have mistaken Jacob for Esau when he touched him. He would have sensed Jacob’s hesitation, and he would have withheld the blessing. When we are filled with the feeling, God corresponds. It is as if God comes in with the yea and the amen to that which we set in motion. God is teaching us something. He wants us to acknowledge Him as the Source of everything, but He is also teaching us to move and to be masters of both our faith and destiny. He wants you to be the one to step into that open door. Why? It’s the choices you make that make up who you are. It’s the choices you take that make you more like Jesus. It’s the choices you make that reveal who you really are in your heart of hearts. Don’t be lazy and just wait on God. God wants you to understand who you are, and He wants you to move according to your divine nature. God wants you to choose and to create the destiny He has already prepared for you. God just wants you to finally choose it over the ways of the world. 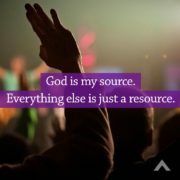 In what ways are you NOT acknowledging God as the source of your every need and want? Rebekah is divine intuition dressing her son for the blessing. Some of you are getting dressed for the blessing, and you don’t even know it. You might already be fully dressed for the blessing if you would stop second-guessing your intuition. So, stop second guessing your intuition. There is a divine presence of God in you waiting to feed you everything you need to know. she had prepared, into the hand of her son Jacob (v.16). You need to be intentional about the blessings you are ready to receive. When you are not preparing yourself for the blessing, it’s as if you’re saying, you’re not really serious about this desire. You are not really believing God for it. Or, you do not see yourself fit to receive it. Whatever your reason may be, God knows when you have prepared. God knows your heart. He knows your actions. He knows if you have made space for the blessing. 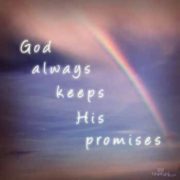 God is always ready. You are the one He’s been waiting for. You’re always the one He’s been waiting for. It’s wrong to say, “I’m waiting on God.” Don’t wait. He is ready. He is here. 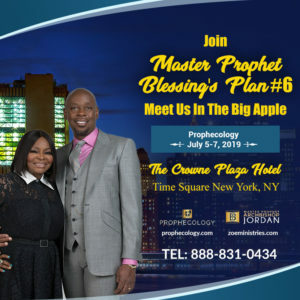 The blessing is ready, and it is in the spiritual realm. You are the one who needs to be here and ready to feel the blessing abound. What must you do to be DRESSED TO RECEIVE? Aligning your prayer and your feeling is a whole new level of faith. When you take something so significant to another level, thumb-sucking baby Christians will have difficulty with it, because it does not line up with their pedagogy. The wise will know when truth is spoken, and they’ll soon recognize that this new level isn’t a place where milk is served, or where people are given butter knives. Milk and bread are not on the main course tonight. As a matter of a fact, the only time the butter knife will appear is before the main course, and the only time milk will be offered is to add to coffee at the end of the meal. Do you want to grow in your faith? Do you want your spirit to mature? Then you need to begin believing God for the bigger things. 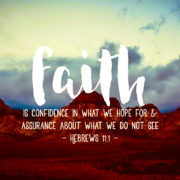 You may think you have been moving by faith, but it’s not really by faith unless you’re being audacious in claiming, not just in asking. It’s one thing to ask, but it’s another to be sure of what you have not seen. 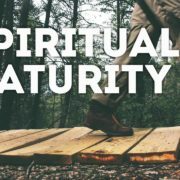 How do you know you are a spiritually mature Christian? It’s when you begin to accept that God wants you to prosper and that you can actually make this happen. God is not a genie who will grant you wishes. No, He is not your servant. God is your Father, who in His wisdom and goodness, prepared everything you need in advance, even before you were born. You only need to access them through prayer and faith. What is your wealth telling you about your level of spiritual maturity? Reverend Ike was very philanthropic, but he gave in secret. He once told me a story about a school in Brooklyn that was about to go under due to financial problems. Reverend Ike sent four different people down to the school, each of them prepared to give $200,000. Reverend Ike would often teach that people who refused money were, on some level, not ready for it, and that it was wrong to force it upon them. So, he never went back to the school to try again to give them money. Their refusal was a clear message that they were not prepared to handle it. People refused money because of pride. Most of the time, people refuse the help of others because they felt others pitied them. They reject the help that is in front of them, maybe because they don’t trust the people extending the help. They may think, “What’s in it for you?” Or, maybe they don’t want to owe anyone anything. Or, they didn’t want to feel like they “need”. It’s their own issue of self-pity. They refuse the help of others, when really they’re refusing God’s help. When God sends money your way, do not reject it. You need to realize that God cannot be placed in a box. 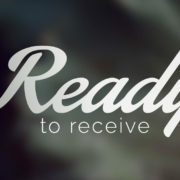 You must be expectant to receive from God. He can use so many different people to bless you. Maybe it’s not the person you like the blessing to come from, but God is teaching you something important. God is teaching you to be humble enough to receive His help.